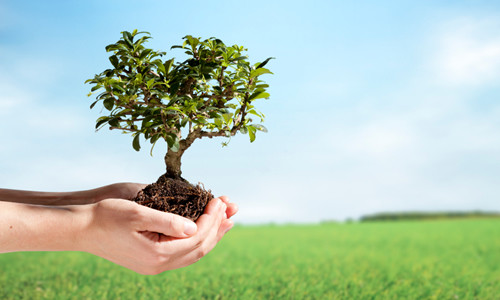 At Bathco, we’re taking steps with our clients to reduce our carbon footprints. It is widely accepted that CO2 emissions and other greenhouse gases are the main cause of global warming. That’s why Bathco is helping our clients offset the CO2 emitted when transporting our products. The Kyoto Protocol does not cover maritime transportation of goods. Therefore as a corporate global citizen, we recognize our responsibility towards the environment and have decided to do our part in helping solve this issue by voluntarily offering this service. Our approach is to implement a small fee for every ton shipped in order to “offset” the CO2 emitted. The fee charged to our clients covers 50% of the cost for offset. And Bathco covers the remaining half of the cost. Then we invest this fee into a green project. Our customers receive a certificate stating the amount of CO2 that has been offset, together with the shipping documents. Here’s an example of how it works: Shipping 500 tons of Bath Material from Europe (Rotterdam) to China (Shanghai), emits around 110 tons of CO2. Offsetting this CO2 amounts to around USD 7.50 / per metric ton of Bath Material. As our client, you would be charged with USD 3.75 / ton and Bathco contributes the remaining USD 3.75 / ton. Contact us for further details on this brand new service.